Thermal desorption systems are suitable for analysis of low concentration samples such as indoor air pollutants, gases generated from parts/materials, fragrance components, and so on. In addition, the sample tube is easily transported, so it is often used when samples must be collected on site. The TD-20 uses Silcosteel-treated material to provide inertness for all tubing in contact with gases to inhibit adsorption and decomposition. The TD-20 includes an autosampler capable of holding up to 48 sample tubes. Therefore, data can be collected during night or weekends by batch processing in automatic operation mode. 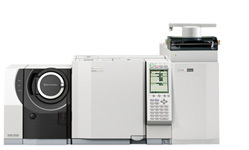 TD-20 analytical conditions can be set via software which is linked to the GCsolution or GCMSsolution workstation. It allows not only serial analyses using batch processes, but also changing analytical conditions of TD, GC, or GC/MS while serial analyses are still being performed. Maintenance tasks on the TD-20, such as replacing the O-ring seals for the secondary trap or the sample tubes, can be performed from the front of the instrument, making maintenance a breeze. Even if the transfer lines or other areas exposed to sample gases are contaminated by concentrated samples, the tubing sections can be replaced individually. The efficient heating system of Shimadzu TD-20 to provide uniform heat distribution can measure highly concentrated samples almost without carryover or contamination problems and there are almost no carryover or contamination problems, even after measuring highly concentrated samples. The TD-20 leaves almost no residues, even for phthalic esters with high boiling points. Linearity of calibration curves is very high and repeatability for low-concentration samples is also good.